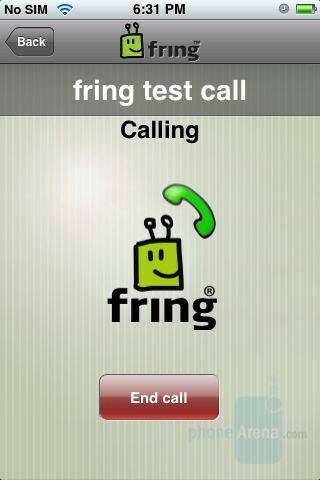 Finally, Fring, one of the best mobile IM clients, is officially available for iPhone, downloadable through the App Store. 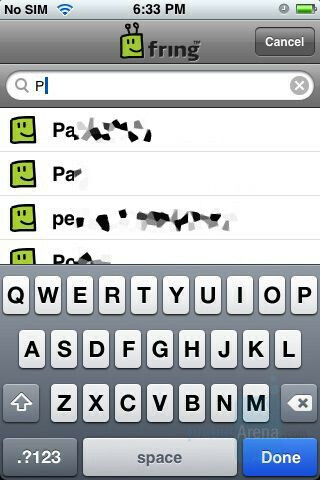 Fring is a multi-protocol instant messenger that can work with MSN, ICQ, Google Talk, Yahoo chat, AIM, Twitter, and Skype. It also has SIP protocol so you can configure your VoIP provider, with support for Sipnet, Gizmo, Free World DialUp, VoipCheap, VoipStunt, A1, VoipBuster and others. 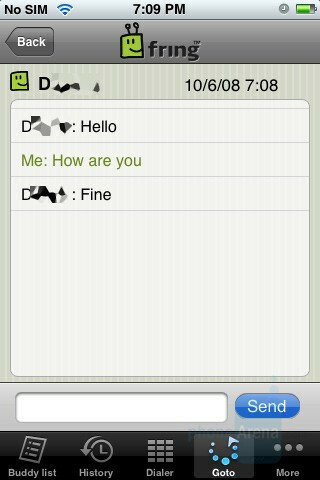 As an instant messenger, it does a pretty decent job. 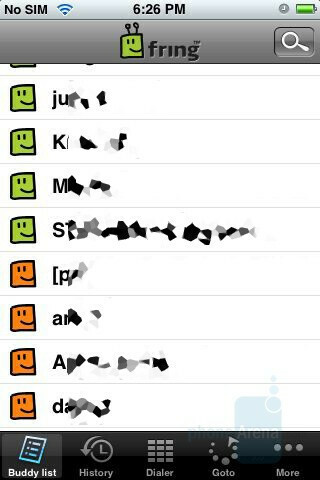 Contacts are shown in a list, which can be searched and current chat sessions are marked in a different tab. We were left with mixed feelings when we tested it for voice calls though. The Fring Test Call lagged and we were not able to hear what we recorded. When we called one person, the earpiece volume was too low, while when we called another person it was much better, usable indoors. The sound quality isn’t perfect through Skype, but it doesn’t cost anything, so we won’t really complain. Fring is now available for FREE, so go and download it, it is worth it! Make sure to post your opinion in the comments below! Check out the gallery for more screenshots! I was trying to use this right now, it is TERRIBLE...another "free" app that is not worth the free ....should pay me to use it. LOL as soon as the storm is out, so am i.
I love when VZW fanboys pose as customers of other carriers. This site needs to stop the anonymous posting to try to curb some of this nonsense. Btw, I don't like the iphone either, but this is pathetic. I spoke with a cnet editor. He said he's seen and played with the Storm. omg... i can't wait. Plus he paid with his BLACK card. pretty snazzy! The app works totally fine with me. I just place a call outside the US and I had the same volume as I usually have and the quality is the same as if I was using my laptop. EVERYONE HAS THEIR OWN OPINIONS DEAL WITH IT EVEN THESE VZW FAN BOYS!!! I LIKE WHEN THEY TALK CRAP, THEY SHOULDN"T GET BANNED FROM THIS SITE THEY MAKE THEMSELVES LOOK LIKE FOOLS. DONT FEED INTO IT, AS FOR THIS APP ITS NOT SO GREAT BUT HEY WHY COMPLAIN ITS FREE!! !